You can not confirm from the confirmation email, you have to login to your portal to confirm. There are two ways to confirm. 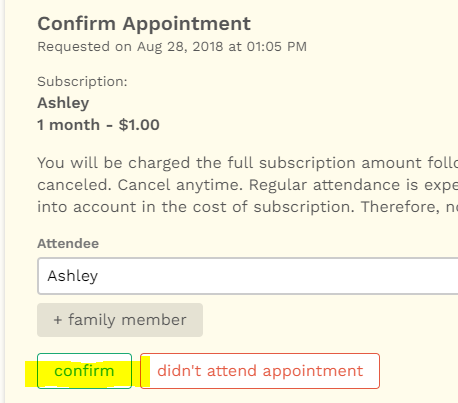 *If you are a client and have not entered a payment method you will be prompted to when you click "confirm" unless it is a $0 cost appointment. A. Navigate to the top right hand corner and click on the bell, then click "confirm"
B. Click on the appointment for more details and click "confirm"
As a Client How do I Accept an Invite from my Provider?